These tights are freaking retarded. Why you would ever want to look like you have green slime coming out the bottom of your skirt is beyond me. I mean even the metallic ones (metallics are so in right now, cha) look like your chastity belt is melting. The only people I can picture wearing these are those freak chicks that shop at Hot Topic, boast about their World of Warcraft skills, and wear cookie monster tee shirts. I mean did the creators of these not even know about something called the menstrual cycle? 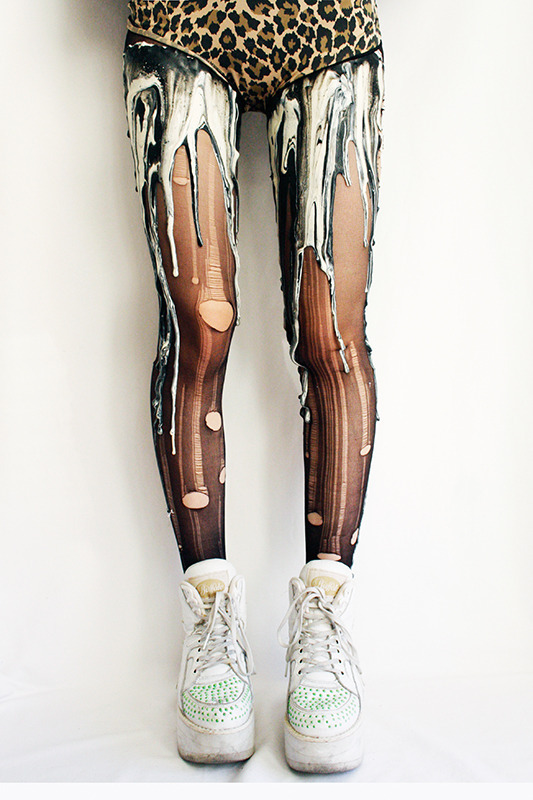 I think it would be a great idea to have tights that make it look like the wearer has something dripping down her legs! Ummm…..no. That is not a good idea. These tights are not tight.